Mrs Maisel causes a staff stir, Netflix brings us yet another teen movie success, and Brexit negotiations were too damn much this week! Find out what the team have been loving and hating in another instalment of Toots & Boots. 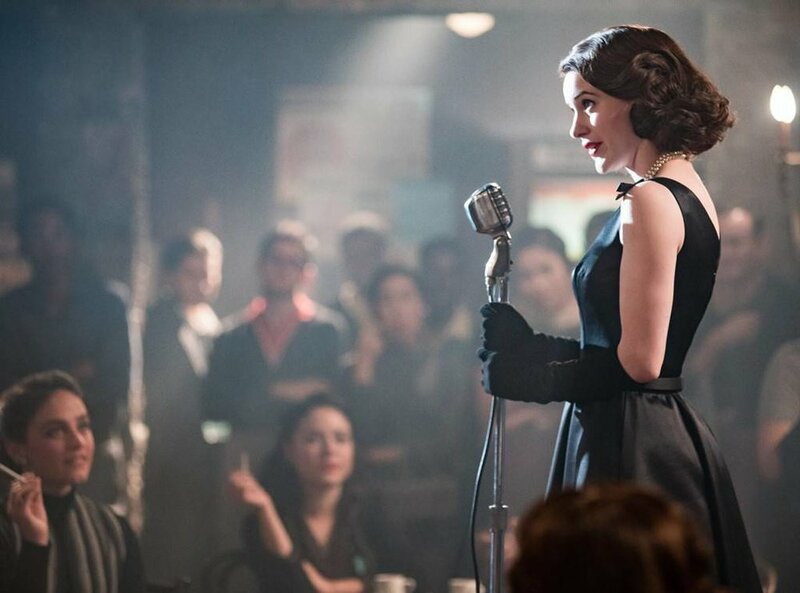 Season 2 of Marvellous Mrs Maisel was delightful as ever. Feminist undertones wrapped in pink wrapping paper with a giant satin bow on top. Season 2 continued to tell the tale of Midge Maisel, as she powers through a divorce, a new stand up career, and the ever restrictive gender roles of 1950â€™s society. If you love fast-paced dialogue and fabulous mid-century fashion, youâ€™ll be delighted. This adorable Netflix teen hit features Dolly Parton, Jennifer Aniston, Drag Queens and a whole load of body positivity. Whatâ€™s not to love? Daniel McDonald plays the daughter of a former beauty queen, who joins the local pageant and ends up starting a mini-revolution. Itâ€™s exactly the feel-good movie you need to see you through the end of 2018. Another Spiderman movie? Really? Turns out this oneâ€™s genuinely good! Itâ€™s refreshing, with a completely original bright animation style. Miles Morales (voiced by Shameik Moore) is a compelling and likeable lead, and it somehow managed to play on the fact we've seen Spider-Man's origin a million times and make that work in its favour. Also, the soundtrack was excellent. Toot all around! This podcast, hosted by Vanessa Lowe, explores the stories that happen to us at night. This episode explores the idea of what makes a space a home: is it the furnishings, the people who live there? She follows the story of an artist and his friends who reclaim a secret space in the mall to live in together after their apartment was demolished by the mall developers. Their artist collective live there in secrecy for years, in this void, floating in the hidden space of a bustling mall in Providence, Rhode Island. Instagram makeup has been on fleek (did I use that right?) for a few years now, and it looks like the contour is here to stay. Elle spoke to a bunch of drag queens, including Sasha Velour, for a deep dive into its origins, looking at how the art of drag has shaped the makeup trends of today. Yeah turns out the Boshemia staff are mixed on this one. While season two is sugary, sweet and joyful, it also rang a little hollow. Interesting plot points were abandoned in favour of lacklustre romantic leads (does anyone actually care about Joel?) Rachel Brosnahan excelled as Midge, but her character motivation seemed a little muddy throughout the season; what does she care more about, her stand up career, her job at the makeup department or her loser ex-husband. Season 2 was the equivalent of candy floss. Fun for a snack, sickly, and entirely lacking substance. Read Emily Nussbaumâ€™s review here. Weâ€™re both confused and bored, and that is not a state I like to be in. Itâ€™s been a rollercoaster in British politics, and the general consensus seems to be â€œugh.â€� Weâ€™ll let someone smarter than me brief you all, so read Alex Wickhamâ€™s rundown for Buzzfeed. â€œHey, hun! Bought you a Christmas present that I know youâ€™ll love!â€� Oh, thanks work acquaintance whom Iâ€™ve seen outside the office exactly thrice, now Iâ€™m feeling undue pressure to buy you something even though I have exactly none money. The holidays are enough of a financial drain, donâ€™t spend this holy time guilt tripping others to get more gifts. Oh, by the way, the â€œsuper thoughtfulâ€� gift that they â€œknow youâ€™ll loveâ€�? Itâ€™s soap. Itâ€™s always soap.